If you are one among those who are planning to opt Certified Nursing Assistant as a career then it is essential for you to know how to earn a CNA license to enter the field of nursing. To work as a nursing assistant, you must possess a certification stating that you are officially permitted to do so. To get such a certification, you must first complete all the required qualifications and trainings. The CNA training duration is of 75 hours which consists of theoretical and practical clinical knowledge, which also must be approved by the respective state. 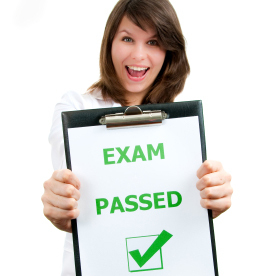 After completing your training you must apply and sit for the CNA licensing examination. The licensing exam for CNA is taken in two parts which are clinical part and theoretical part. - Clinical exam is basically a way to test how you apply your clinical knowledge and understanding in real life situation i.e. in healthcare environment. To take the clinical exam, you may be required to take a volunteer with you to the examination site, using whom you can exhibit the clinical skills and signs you have learned in your course. A state examiner will be there to examine what you have learnt in your practical training and how you apply them in. In the examination, you will be asked to demonstrate a few (generally three to five) practical training skills that you have learnt during your training. But before you start the exam, you will have to properly wash your hands in-front of the examiner and dry them off with a paper towel. Also, the same paper towel must be used to turn the tap off. The examiner is very conscious about your each and every step during the demonstration (including washing your hands and drying them with paper towel). The examiners examine your demonstrated skills closely, so it is important to perform well on the clinical examination. - Theoretical exams require you to apply your clinical knowledge and understanding in theoretical examination conditions. These are generally straight forward. You can always take a look at the sample questions or previous examinations. You can also find free sample questions and trial tests on the internet. After successfully passing the license exam, you will be granted CNA license by the respective state and you will be permitted to work in medical facilities.